Following a speedy courtship and a family tragedy, Edith finds herself swept off to her husbands crumbling mansion to live with him and his strange but beautiful sister. But the house holds many secrets which refuse to stay buried, and Edith has a gift for seeing the dead. 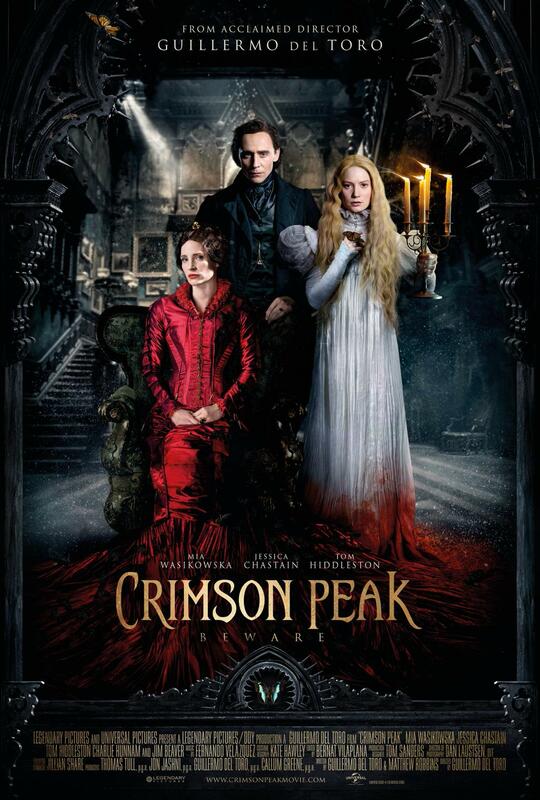 Starring: Mia Wasikowska, Jessica Chastain, Tom Hiddleston. Amusingly, I took my boyfriend with me to see this film, not realising that he didn’t know what it was about, and he took it for a period romance until a spectre slithered out of the floor of a hallway. Perhaps that’s the reason that this film has gotten mixed reviews. 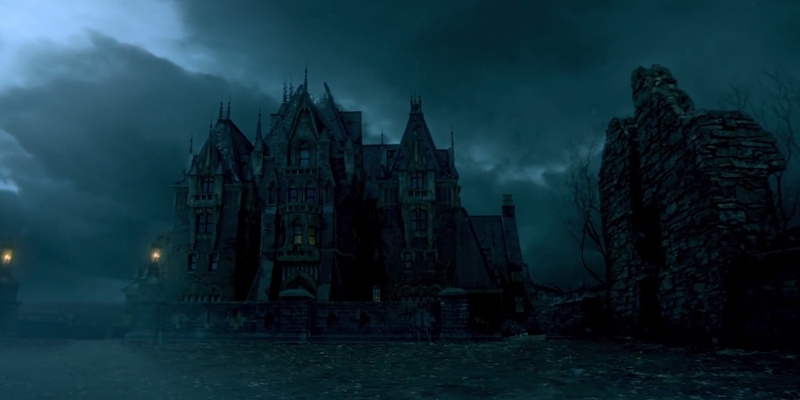 At heart, it’s a gothic romance with horror elements, which means that although it has great scary moments, it’s more about the story than body counts or giving you nightmares, kind of like Tim Burton’s Sleepy Hollow. Directed and co-written by Guilermo Del Toro, who is also responsible for the brilliant Pan’s Labyrinth, the film shares his love of violence, gore and blows to the face (remember that bottle in Pan’s Labyrinth?) as well as the magical, scary elements. It has a clear influence of Hammer Horror films from the 60’s, reminding me of the Poe adaptations that Roger Corman made, though vastly updated. I loved the heightened drama of this film. The performances are all ardent, emotive, it all feels so evocative in a pleasantly over the top way. The costumes are lavish, with the huge sleeves and flowered skirts adding a damsel in distress feeling to all the scary moments. 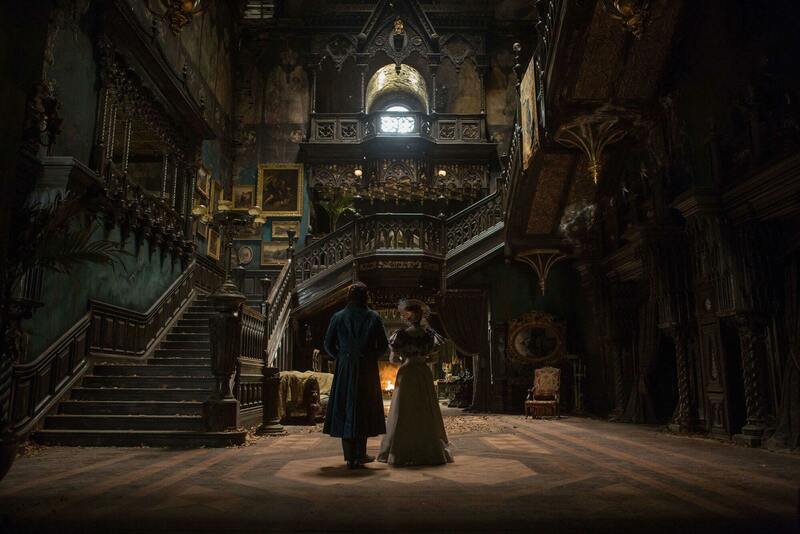 The house itself is so decadent, and shot so beautifully. It’s sinking into the earth, which is as red as blood, crumbling like the House of Usher, the walls bleeding the ore that has made the families wealth for generations. It’s a beautifully made film, and will please fans of gothic romance, though it may leave classic horror fans with something to be desired. It is creepy, and downright scary in places, but to focus on that would be to miss the point of the film. If you like Guillermo Del Toro, I think you will be happy, though it does have a different feel than his earlier works. See It If: You are a Guillermo Del Toro fan, or if you like supernatural or Gothic romance. Maybe not as much fun for classic horror fans, because of the low body count. Previous postIf you go down to the woods today… A Local Ghost Story.